What is the Number One Reason People Call a Plumber? What is the number one reason people call a plumber? If you guessed a clogged drain, congratulations, you are correct! Whether it is in your bathroom, kitchen or drain pipes, a clogged drain can ruin anyone’s day. Check out these items that you should never put down your drain! You will want to avoid flushing the following items or pouring them down your drains unless sewage backup is something you enjoy. You will also want to avoid pouring hazardous waste and chemicals down your drains. These include gasoline, motor oil, antifreeze, pesticides, fertilizers, paint, etc. The most common clog found in bathrooms are caused by hair buildup. Try to remove clumps of hair from drains whenever you notice them. A buildup of soap and toothpaste can also cause clogs in bathrooms. The regular use of a safe enzyme-based drain cleaner product such as BioClean can help prevent slow drains and stoppages, call (866) 844-3770 to schedule an appointment, to learn more! Clogged drains occur in the kitchen more than any other room in your home. These clogs can be caused by a number of different factors, but most often happen because people pour the wrong items down the drain. Liquid fats are one of the main culprits and should never be poured down your drains. Additionally, avoid putting things like egg shells, coffee grounds, bones, pasta, celery or other stringy foods in your garbage disposal. If you should encounter a serious clog, simply call (866) 844-3770 and one of our expert plumbers will come to the rescue! The indoor air quality in your home has a major effect on the health of your family. Indoor air pollutants that come from sources that distribute debris, particles or gases into your home are one of the main causes of poor indoor air quality. Additionally, insufficient or inadequate ventilation can also increase the levels of pollutants in your home. A buildup of pet dander, dust, germs, etc. can also lower indoor air quality. 1. Steam Clean Your Carpets Regularly. Carpets and rugs collect dust, pet hair, dirt and other tiny particles. These contaminants can get kicked upped in the air when people and pets move throughout your home. Vacuuming alone is often not enough to remove all these pollutants; and actually, vacuuming can stir these particles up and release them back into the air you breathe. Steam cleaning your carpets is a more effective cleaning method. We love our pets, but the hair and dander they leave around our homes is another story. Bathing, brushing and grooming will help cut down on the amount of pet hair in your home. Regular vacuuming will also help you manage pet hair and dander. Steamy showers and long relaxing baths increase the moisture levels in your bathroom. Moisture can be a breeding ground for bacteria and other pollutants that will eventually find their way into your air. Flipping on your exhaust fan when bathing is a great way to reduce the moisture in your bathroom. Remember that exhaust fans need to vent outdoors, if the exhaust fan in your home vents into your attic or another enclosed area, it is important to have your vents rerouted. 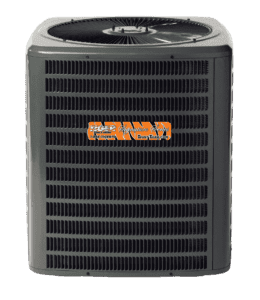 There is a lot counting on your furnace filter, making it extremely important that you clean and/or replace your filters as needed or recommended. Keeping a clean filter helps to keep pollutants down in your home. Dust mites accumulate in bedding, drapes, fabric shower curtains, etc., making it important to regularly launder these items. Ductwork can be a haven for dust, allergens, bugs, dust mites, dirt, rodents, etc., these pollutants will launch into the air your family breathes when you turn on your heating or cooling systems. Clean up the air in your home by having one of our Technical Experts professionally clean and sanitize your ductwork. Call (618)307-4911 to schedule a free air duct cleaning assessment. What is the first thing that comes to mind when you think about Valentine’s Day? Your plumbing system probably wasn’t the answer that you came up with for that question. However, if Valentine’s Day is the holiday for love, why not show a little to your plumbing? After all, if you take care of your plumbing system, it will take care of you! Keep your pipes nice and toasty! Adding insulation to the pipes located in attics, basements, crawl spaces, garages, etc. is a great way to protect yourself against frozen pipes. Listen to your plumbing system’s needs! Listening is important in any relationship and your plumbing relationship is no different. Does your toilet sound like it is runn ing longer than it should? Can you hear your faucet dripping at night? Is your water heater knocking or making a popping sound? These are cries for help from your plumbing system, it is best to not ignore them. Flush away the build-up! Once a year you should have your water heater flushed to keep it functioning properly. Minerals and debris accumulate in your water heater over time, which can cause it to malfunction or stop working altogether. Do not skip your annual plumbing maintenance and safety inspection! Think of annual maintenance like taking your plumbing system to couples counseling. It is a great way to a get ahead of any problems or issues that may arise. Call (866)844-3770 to schedule a plumbing inspection today! Valentine’s Day, call the experts at Tiger Plumbing, Heating, Air Conditioning & Electrical Services. Could You Use an Extra $200 this February? Enter to Win! -Submissions must be sent to our Facebook page (https://www.facebook.com/TrustTiger/). You can either send us the photo via private message or you can post your photo in the comment section of the contest post.